The rich poker shores of Asia proved once again that its now one of the premier tournament destinations in the world with another successful incarnation of the PokerStars Macau Asia Championship of Poker. The rich poker shores of Asia proved once again that its now one of the premier tournament destinations in the world with another successful incarnation of the Macau Asia Championship of Poker. Featuring a plethora of tournaments, the festival came to a conclusion over the weekend following the climax of the HKD$100,000 ($12,900) Main Event. Kicking off early last week with 203 runners keen to earn a slice of Asia-Pacific Poker Tour glory, yesterday's final table eventually welcomed nine survivors, including Randy 'nanonoko' Lew. 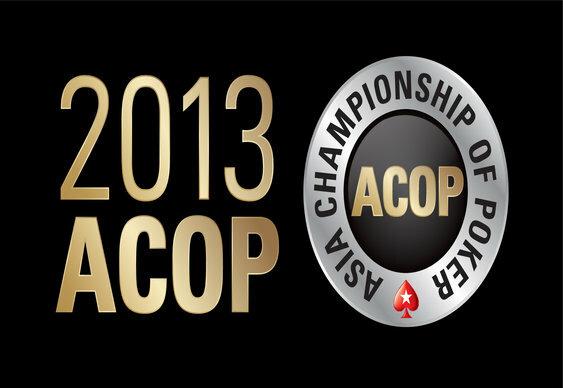 Having tasted success on the ACOP tour before, Lew entered the finale in a confident mood, but after letting his stack dwindle he finally bowed out in seventh place. The elimination of the tournament's top grinder allowed Sunny Jung to gradually inch his way towards the first ACOP title of his career. Indeed, whilst the likes of Yoshitaka Okawa and Yifan Zheng hit the rail, Jung was able to use his aggression to his advantage and secure a 9:1 chip lead against Devan Tang heads-up. However, the fearless strategy that secured him the chip lead almost cost him the crown as Tang was able to reverse the deficit and clinch the chip lead. Clearly rattled by the loss, a new level of focus soon took hold of Jung and after picking off a double-barrel bluff by Tang he was able to reclaim his dominant position. From there he managed to resume his relentless pressure and before clinching the table he'd built up a comfortable buffer. With the momentum on Jung's side the final hand saw Tang commit his stack with As Qc but find himself in trouble against his opponent's Ah Kh. Sensing the title was virtually in the bag, Jung rose from his chair as the board rolled out 4c 9s 3h 2h Th to send the final pot and $561,400.